Some people may consider parking is the worst bit of driving. Home parking may be fine as that’s where you have to park your car every time you take your car out. But how about parking which is different in type from your home parking? 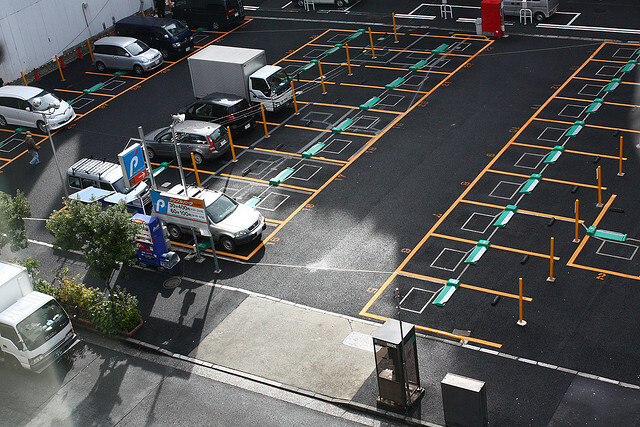 Today, I’ve found an interesting article about parking lesson in Japan. So there is a station parking in Osaka, which opened in February this year. It looks like normal station parking, but what makes this parking unique is that this place offered parking lesson before its opening with a support of driving school teachers. According to the article, there are quite a lot of people who find parking difficult regardless of gender, and 60% of women who answered a survey answered that they are not confident in their parking space. Apparently, it is not just women, and 30% of male driver also consider that they can be nervous about parking. So, it was just spot-on service. In this training, each participant can practice parking using their own car at this new parking space. A driving school teacher will check your performance and give you an advice for further improvement. 1 person was allowed to practice up to 20 mins, and more importantly, it was free of charge! !